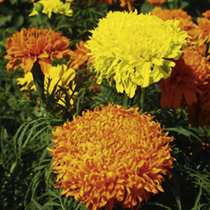 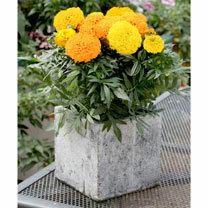 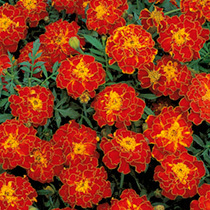 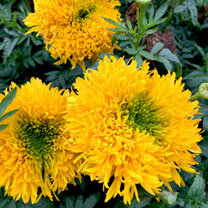 Marigold seeds come in two main varieties; French and African. 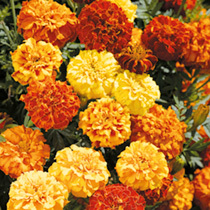 Both produce bright, vibrant and eye catching flowers consisting of oranges, reds and yellows. 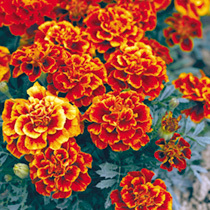 The French marigold seeds are easy to grow and weather tolerant. 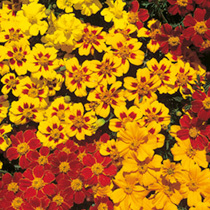 It needs to be sown during February and March under glass in a gentle heat. 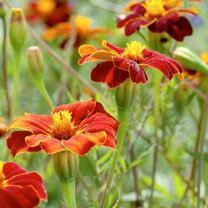 Alternatively the seeds can be sown directly outdoors during April and May to flower between June and September. 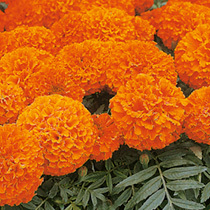 The African marigold seeds need to be sown between February and April, again under glass in gentle heat. 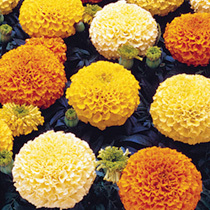 They will flower during June to September. 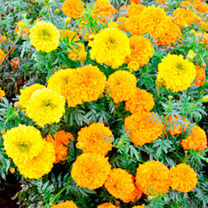 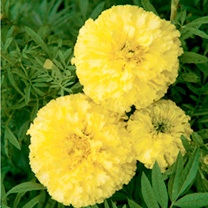 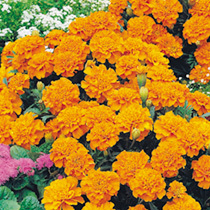 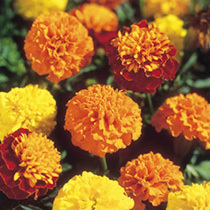 Both varieties of marigolds should germinate within 5 to 14 days. 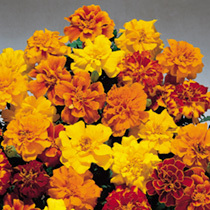 The seedlings need to be transplanted into trays 5cm apart to grow on in good light. 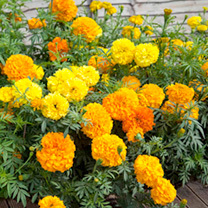 Marigold plants need to be acclimatised to outside condition before planting out (when all danger of frost has passed) at 15 to 20cm apart, in an open sunny position.